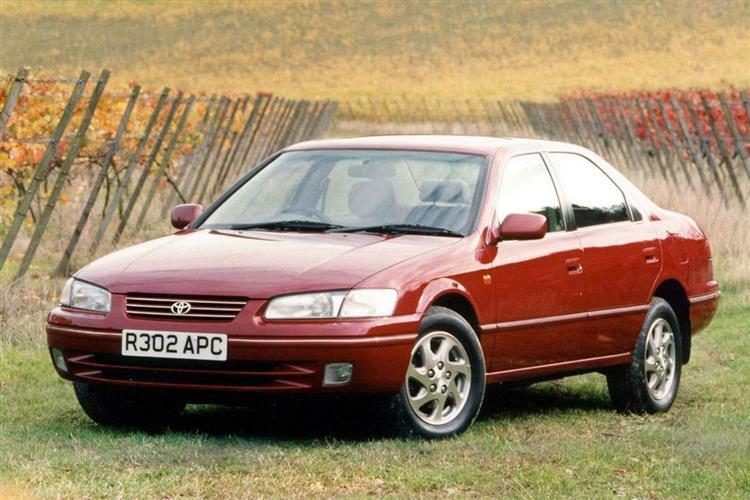 If you can't remember just what a Toyota Camry looks like, then you've just discovered this ultra-reliable family car's biggest problem - its inoffensive styling. Many buyers don't think that matters; certainly, the Camry offers brisk and economical motoring, without drawing any attention to its owner. The car is now in its fourth generation, the original, boxy 1983 model holding the distinction of being Toyota's first front-wheel drive car. The curvy but forgettable model that followed this one remained true to the medium-sized formula but tried to break out of the mould with options like four-wheel drive. It was only in larger post-1991 third generation form, however, that the Camry moved up-market in both size and price. This version was replaced early in 1997. 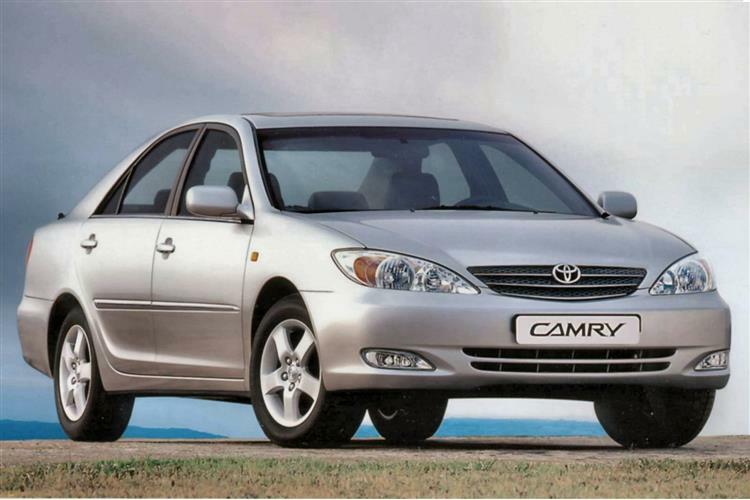 As a second-hand upper/medium sector buy, the Camry offers excellent Japanese build quality and reliability. Certainly, it's an affordable and interesting alternative to mainstream European rivals like the Vauxhall Omega and Ford Scorpio. Though Camry motoring goes back to 1983, it was only with the launch of the larger third generation post-1991 model that it became recognised as a serious luxury contender. To begin with, this version was offered only as a four-door saloon; an estate (built in the USA with curious twin rear wipers) arrived in July 1992. Initially, imports were somewhat restricted by the so-called 'gentlemen's agreement' which the Japanese had in the UK market. Essentially, this meant that they tended to concentrate on their most profitable models here - which is why most Camrys you'll find should be very well equipped: highly-specified cars command higher showroom prices and make larger profits for dealers. Used Camrys offer spectacular value however, as all that equipment makes them very desirable cars in the eyes of private buyers. Both the 2.2-litre four-cylinder engine and the 3.0-litre V6 are state-of-the-art units and feature four valves per cylinder as well as electronic fuel injection. The third generation Camry changed very little over its five-year production run. February 1993 saw an alarm and immobiliser fitted as standard followed a month later by a 'walnut' facia for the dashboard. Sixth months later a driver's airbag was introduced and, on the V6, an electrically adjustable driver's seat. The squarer fourth generation range arrived in 1997 and proved to be even more rare than its predecessor. There was a choice of 2.2 four-cylinder and 3.0-litre V6 models, both offered in standard and Sport forms (the latter with alloy wheels and a bodykit). In the most recent round of changes introduced at the end of 1999, the Sport models were no more. Instead, there was a simple choice between the 2.2-litre four cylinder unit and the 3.0-litre V6. On the 2.2-litre models, you could choose between manual and automatic transmission and leather or cloth trim and have a model with alloy wheels, power seats and a CD player, items all fitted to the single automatic 3.0-litre V6 variant. There was also a more rounded front bumper, bigger front fog lights and a redesigned radiator grille, plus new headlamps with four halogen bulbs in place of the previous two. At the rear, there was a new bumper and revised tail light clusters and chrome side rubbing strips were added. The V6 version finally got traction control and automatic models had a shift lock override facility. There were also two grocery bag hooks in the boot and a proper gas strut bonnet stay, notably dropped from the previous version. Everything but a high profile image, basically. Equipment levels are generous, with the third generation GX models featuring alloy wheels, leather trim, air-conditioning, cruise control and ABS. On later models go for the Sport or V6 if you want lots of equipment. The Camry is best seen as an alternative to the usually sparsely equipped German prestige makes. You'll pay a lot less for the Toyota and it has its own appeal. Nit-picking is always tough with Japanese cars, which is good news for you, if not your mechanic's bank balance. The limited volumes of cars sold new means the importers often have to charge relatively high prices for spare parts. The way Toyota insists its suppliers build long-life components though, means you shouldn't be visiting your local dealer's warehouse too often. Corrosion is not generally an issue, but can be a problem if the car has been badly neglected. Check all the obvious areas, such as door bottoms, base of the windscreen and bootlid edge for telltale signs. 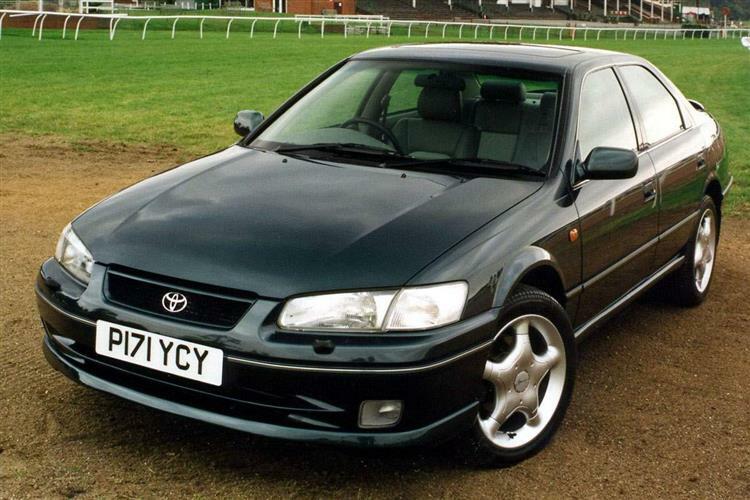 (Based on a 1991 2.0 GLi - approx) A new clutch will be in the region of £150 and a full exhaust about £375. Front shock absorbers are just over £90 and the rears about £70. Front brake pads will set you back about £40, while an alternator will be around £190 and a replacement starter motor about £150. Smooth with capital 'S' is the best way to describe the driving experience. These cars were principally designed for the American and Australian markets, where long, straight roads abound and drivers like to relax at the wheel. European-spec Camrys have somewhat tauter suspension than their US and Antipodean cousins but not to the detriment of ride comfort. Hustle a Camry through some challenging bends and you'll soon discover it's no sports car, yet as a motorway cruiser or around-town family car, it certainly satisfies. Not a car that many people think of when they're looking for a quality Japanese family/executive alternative, more's the pity. The smart buyers hold on to their Camrys; that legendary Toyota quality and reliability means there's often little reason to trade up.